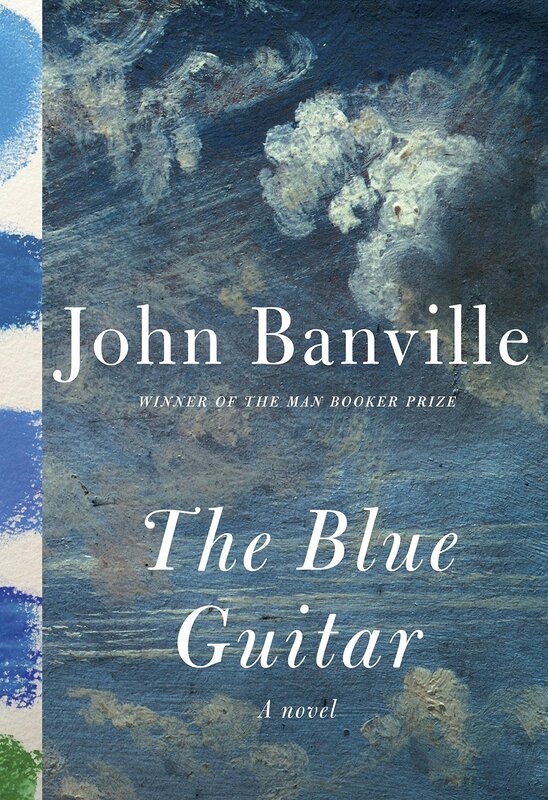 John Banville is an astonishing wordsmith and delivers with The Blue Guitar a rhapsodic novel from the upper echelons of contemporary literature. His sentences are for savoring: ambrosiac chains of clauses so good they demand slow reading and sumptuous unraveling. Together, these sentences work like alchemy: although The Blue Guitar is essentially the memoir of a loathsome ex-painter named Oliver Orme and a marriage-ruining affair he decides to enjoy, Banville transposes all this ugliness into an ecstatic work of beauty about heartbreak, aging, and loss. “Call me Autolycus,” Orme writes in the opening lines of The Blue Guitar, in a footnote-less reference to the thieving son of Hermes and Chione. This unapologetically erudite introduction serves as a warning from Banville to his readers, revealing that this novel will require not just a large vocabulary but a wealth of classical knowledge. Orme, by profession, is a painter somewhere in the abstract-expressionist camp but has recently not been able to finish a major work despite pressures from his dealer. As a hobby, he fancies himself a thief of “unconsidered trifles,” but is really just a limitless kleptomaniac. He is a self-important intellectual, hilariously togged in “hat and cane and gaudy foulards,” hankering for “the bad old days of the demi-monde, of silk hats and pearly embonpoint, of rakes and rakesses astray on the boulevard, of faunish afternoons in the atelier and wild nights on the sparkling town,” and is just the type of dandy who would consider the Greeks as he steals away Polly, the wife of his friend Marcus Pettit. Orme remarks that he never painted his daughter while she was alive, but perhaps The Blue Guitar is that abstract painting he never tried to start. The book shimmers with nostalgia and places youthful innocence in counterpoint with a jaded, aged maturity. In one scene, Orme finds himself fascinated with Polly’s infant daughter: “she had no words yet, only pictures, presumably, with which to make whatever sense it was she made of things.” Orme, alternatively has a bounty of words; perhaps too many to clearly depict the loss that encumbers him. It’s not difficult to connect this pained nostalgia of boyhood with the loss of Orme’s daughter and the life she never lived. 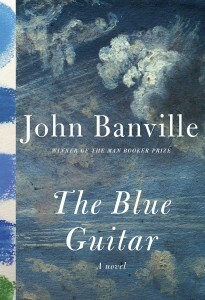 Despite Orme’s highfalutin attempts to render himself a former artist, husband, lover, and child, there’s one more “ex” Banville considers: The Blue Guitar is a portrait of the artist as an ex-father, an abstract and expressionist triumph of text sonorously executed in a range of somber hues.